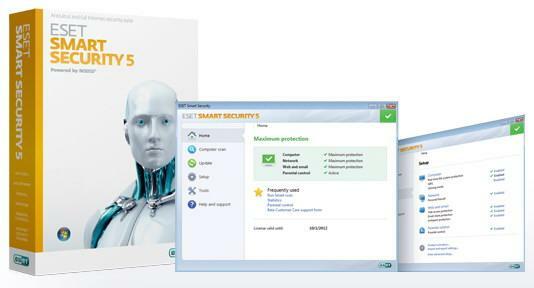 ESET, the leader in proactive protection against cyber-threats, announced the launch of its flagship products ESET Smart Security 5 and ESET NOD32 Antivirus 5. ESET has been been awarded with the highest consecutive number of Virus Bulletin VB100 awards. Even before its release, testing versions of the fifth generation of our flagship security solutions have been downloaded more than four million times. 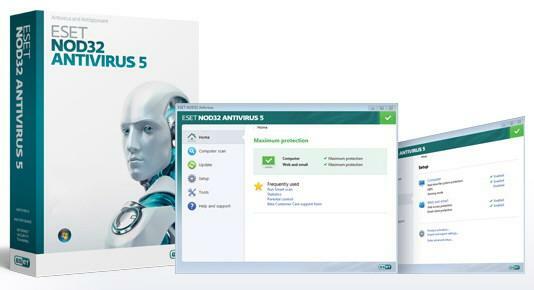 After thorough testing and months of development, we are now proud to present our customers with completely new ESET NOD32 Antivirus 5 and ESET Smart Security 5 products says Richard Marko, CEO, ESET. ESET Live Grid offers optimization of scanning based on the whitelisting of “safe” files. Cloud based reputation is another method used by the 5th generation of ESET products to determine whether a particular object is secure or not. The result is enhanced precision in detecting threats along with increased speed of scanning. The Removable Media Control feature automatically prompts the user to scan the content of all flash drives (USB, SD), firewire, CDs and DVDs so that specific threats can be blocked from trying to get through to the system through the media devices. Users can block/allow removable media, based on the type of media, manufacturer, size and other attributes. In addition, permissions can be set to blocked, read-only or read/write access. They can be set either for a specific user or groups of users. User can decide to block the access and setup a whitelist of “allowed” USBs. Parental Control allows sites that may contain potentially offensive material with pre-defined website categories to be blocked. The user can set up a “role” for each user account, each with its own set of default website categories that are allowed or disabled during browsing. HIPS offers another layer of security and allows tech savvy users to customize the behavior of the whole system and each part. User can define rules or system registry, processes, applications and files. The Gamer Mode switches to silent mode and disables pop ups to conserve system resources and enhance the gaming experience. This results in uninterrupted playing or focus on tasks running in full screen mode. Gouri Shankar is Tech Geek and Java, PHP and WordPress developer from India.